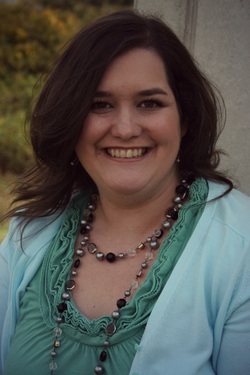 The Romance Cover: Forgiven (This 3) by J B McGee Blog Tour ~ Review & Tour Giveaway! Forgiven (This 3) by J B McGee Blog Tour ~ Review & Tour Giveaway! 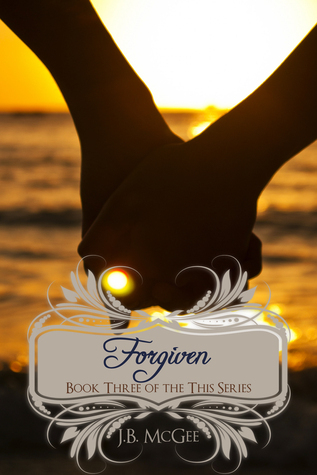 Forgiven is book three in the This Series by JB McGee. I must admit, the title scared me at first…who needed forgiveness???? Bradley or Gabby…what did they do to warrant it??? ?...everything was out in the open or so I thought…that is the beauty of titles..if it is a good one, it gets your mind racing before you have even started the first page. This is the continuation of Bradley and Gabby’s story. I love these two, they have had more than their fair share of things to overcome and this book is no exception, however, after the ending of this book their story is now complete so it will be other characters going forward. I do hope though that we can continue to read about them going forward in the up and coming books…just a few little snippets will do!! The baby daddy saga does continue through this book, although if you have read the previous books and novella we deep down know who the daddy is but Bradley and Gabby do not. He jumps in to help Veronica which was impossibly infuriating at times but you could not help but feel for him, even though some of his choices at times had me tossing my kindle. Deep down I knew he was doing the right thing by what may or may not have been his child but I just wish it didn’t have to cause as much heart break as it did for Gabby. Ian is still loitering in the background as usual, but again I feel sorry for him too. God it is infuriating, the thing is with JB McGee is that she shows you the best and worst in every character…I even felt for Veronica at one point in the last book even though I think that she is a total b***h for putting everyone through this ridiculous charade. Bradley and Gabby are busy planning their wedding despite what is going on with Veronica and the baby. They move in together, buy a house and Gabby is still studying so actually they don’t really see that much of each other and does begin to put pressure on their relationship. They actually seemed to see more of each other when they were long distance. A piece of Gabby’s past shows up in this book and puts some more perspective into Gabbys back story. We have lots of different POV’s in this book which was fantastic. It really helped to build the story up and a feel for all the characters that will be taking this series going forward. We still have the build up to the wedding night and what will take place, although it is getting harder and harder for both of them. This scene was realistically written and for that I am grateful but after all the build up I would have liked it to have lasted a bit longer…I am just a sucker for this type of relationship and want to feel all that pent up want and desire release over pages and pages…it is most probably me being greedy!!! Once again, I have loved JB McGee’s writing and I cannot wait for the next and the next and the next and anything else she cares to pen in the future. I will never tire of her incredible writing skills. Who is the daddy?????? Read it and find out!! !